Elon Musk has aspirations beyond the earth's orbit. After launching SpaceX's space capsule, Crew Dragon, into orbit for the first time, Musk says there should be a permanent human base on the moon. "We should have a base on the moon, like a permanently occupied human base on the moon, and then send people to Mars," Musk said during a press briefing. The SpaceX founder confirmed that he thinks humans should have a permanent base when asked about what's next for the Crew Dragon after it becomes operational. "Maybe there's something beyond the space station, but we'll see. We've got to focus on getting this right, for sure. That's the priority. But then, after that, maybe something beyond low-Earth orbit." Musk previously said in a tweet that he wants to reach the moon "as fast as possible." "Initially making one 200 metric ton thrust engine common across ship & booster to reach the Moon as fast as possible. Next versions will split to vacuum-optimized (380+ sec Isp) & sea-level thrust optimized (~250 ton)," Musk wrote as he shared images of the Raptor rocket engine in his tweet on Jan 31. SpaceX launched the Crew Dragon using a 230-foot-tall Falcon 9 rocket on March 2 at 2:49 a.m. ET. The space capsule did not have people on board, but it has a female crash-test dummy named "Ripley" and 400 lbs of cargo. 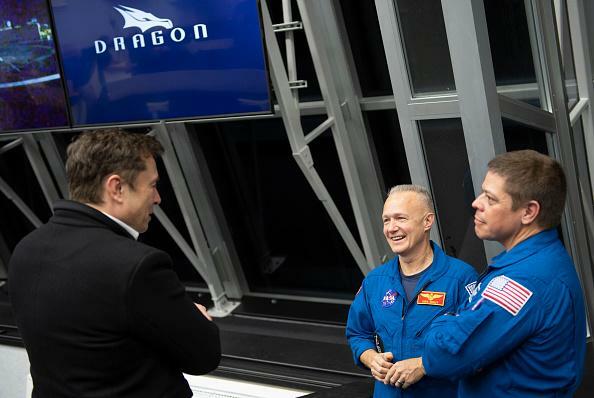 A joint venture between NASA and SpaceX, Crew Dragon is expected to be critical in launching commercial spaceships. Crew Dragon is under NASA's estimated $8 billion Commercial Crew Program. The primary goal of the project is to present an alternative to NASA's astronaut-launching capability. It was in 2011 when NASA lost such ability after it retired its space shuttle fleet. On the other hand, NASA administrator Jim Bridenstine also agreed that SpaceX's moon goals are aligned with what the space agency has in mind. "Well that's the very first space policy directive given by the President of the United States to me as the NASA administrator, that we're gonna go to the moon, and we're gonna go sustainably," said Bridenstine. He also noted that SpaceX has excellent ideas on how to help NASA with its moon initiative.